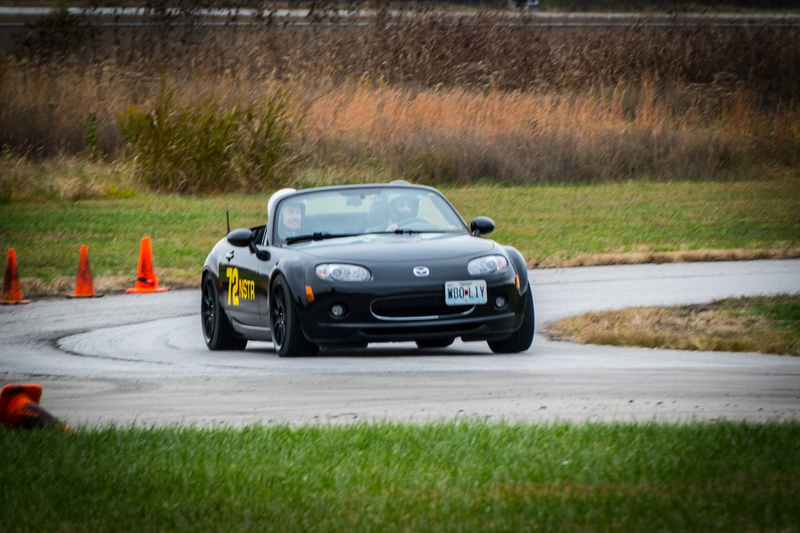 I get an email in the afternoon expressing interest in buying the NC. I exchange a few texts with the person throughout the afternoon and set up a time to show the car in the evening. I fire up the car and head towards the meeting spot a little bit early. Two intersections away from the meeting place, I start to periodically lose throttle response and the engine starts to stumble. It stops altogether after I let it dip to idle. Restart car, blip throttle, dies again when returning to idle. Restart car, pull in to the next parking lot. Engine stumbles and dies again. Limp car home (<1 mile away), plug in OBD2 reader, see pending P0300 - Random Misfire. The only thing I can come up with is a bad tank of gas. I last drove/showed the car about a month ago and it was running perfectly fine then. With the holidays and nasty weather coming up, I didn’t expect any serious interest for a while, so I prepped for my usual storage mode. I tossed in some fuel stabilizer and had to coax a stubborn pump into actually filling up the car (thinking it was just being temperamental, as some can be with the car’s short filler neck). Now I’m wondering if the stabilizer went bad or I was instead coaxing the pump into sucking up some water and/or other crap from a near-empty supply. It’s either that or the most inappropriately-timed spark/coil/sensor failure in the world. I get a text that they’re on their way, so I call them and explain the situation with apologies. They still want to see the car, which surprises me after the moderately demoralizing series of milquetoast inquiries leading up to this point. Not wanting to venture out into traffic again, we agree to meet near my house. They drive the car around the neighborhood, it stumbles once or twice but doesn’t die. Problem aside, they’re still very impressed with it and happened to bring cash. I brace for the lowball. Their offer instead lands within spitting distance of my original “wait until spring” bottom line of $8k. Needless to say, I find this to be very agreeable in light of the current situation. Payment and paperwork is exchanged, and the whole thing is done before I know it. I proceed to ask myself, “Did that just really happen?” for the next hour.